Thoughts: I love this series! A phone call at two a.m. is never good news. But there’s bad news and then there’s strange news. Lindsay’s two a.m. call is a plea for help. There’s a woman in Fred’s closet and he can’t get her out. Their new neighbor, Sophie Fleming, has taken up sleepwalking, straight into Fred’s house and his bedroom closet. She’s having nightmares about the brutal stabbing of a little girl named Carolyn. But Carolyn was her imaginary childhood friend. Lindsay, Fred, Trent, Paula and Henry must solve a twenty-year old murder with no bodies, no DNA and no proof the victims ever existed. How can someone who never lived be murdered? Why is Sophie seeing it happen in Fred's bedroom? Why is she hiding in his closet? Will his clothes even fit her? I absolutely LOVE this series. 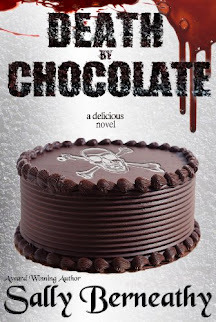 The characters are absolutely awesome, especially Fred, and the recipes are to die for. 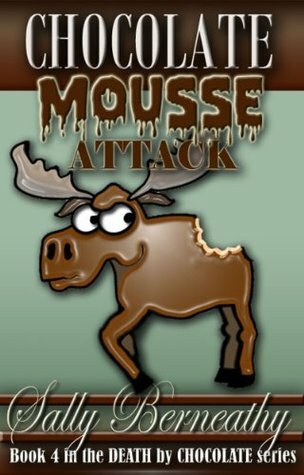 Chocolate Mousse Attack was a great addition to the series and I loved watched the characters' relationships grow and change. Again, readers are given a chance to hate Rickhead and are further exposed to his annoying son, but feelings about Rickie start to change - just a bit. I can't wait for more from this series.